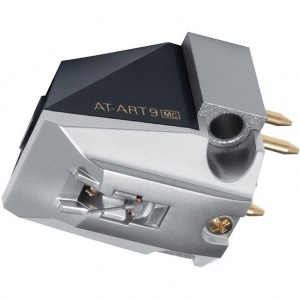 This product keeps the basic design of non-magnetic core MC type cartridge AT50ANV and changes the coil winding frame from a pure titanium armature to a newly developed liquid crystal polymer armature by an injection moulding. This product also succeeds in reducing the weight of the vibration system compared to AT50ANV and provides the extremely natural and clear sound quality with the ability to express three-dimensional sound fields inherent to non-magnetic core types. In addition, this product enables an output voltage of 0.12mV, a relatively high output level for a non-magnetic core system. Liquid crystal polymer used for the coil winding frame not only has an extreme mechanical strength but also a unique property which increases the mechanical strength as the product becomes thinner. Therefore it is a most suitable material for the vibration system of cartridges. This has high intensity and vibration absorption properties, enabling high-quality sound by suppressing unwanted vibration from power generation. 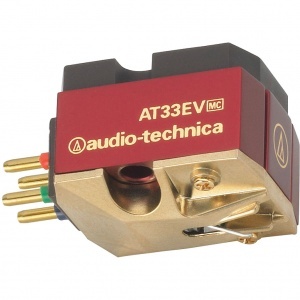 The magnetic circuit of this product uses a large-sized neodymium magnet with approximately twice the volume of conventional Audio-Technica ferrite core MC types. (Maximum energy product BHmax: 50 [kJ/m3]) The permendur magnetic circuit parts located around the magnet have also been newly designed to maximise the strength of the intensive magnetic field in the coil gap. 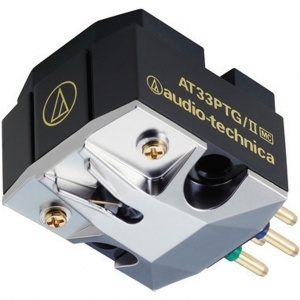 This magnetic circuit increases the output voltage, and also enhances playback capability in the medium-to-low-frequency range that is said to be a weak point of conventional non-magnetic core MC types. 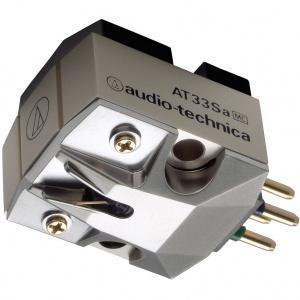 This provides a very accurate frequency response. The stylus tip is a special line contact type with a 40µm x 7µm curvature radius (used in the AT50ANV) and a solid boron cantilever with a 0.26 mm diameter. 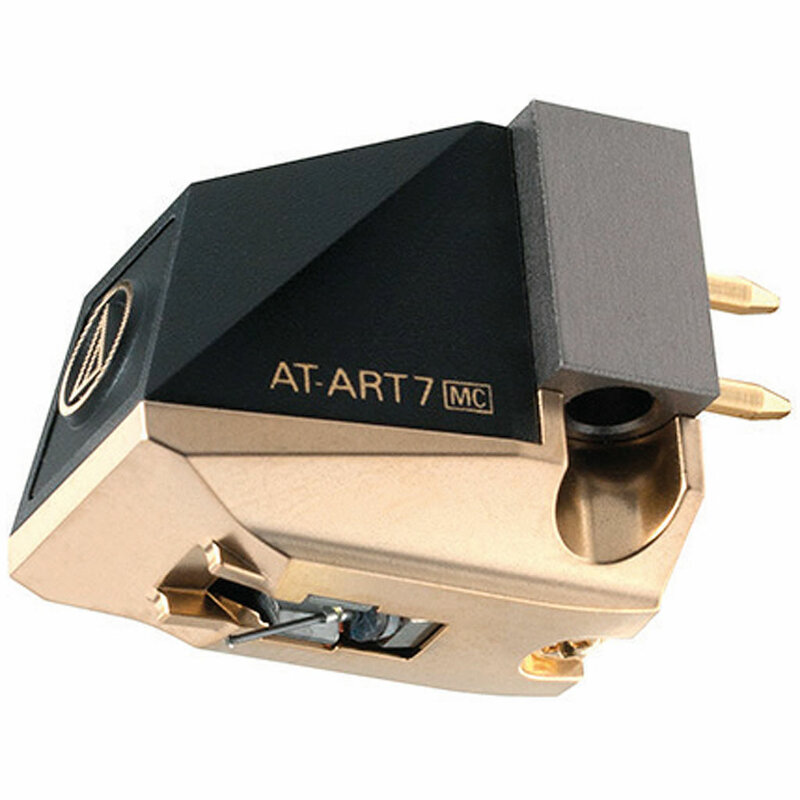 This allows accurate transfer of music signals read by the stylus tip to the power generating moving coils.